The quintessentially English plumb-stemmed Victorian cutter TERN II gained iconic and timeless status in the early 20th Century under the ownership of Claud Worth by featuring in his seminal work Yacht Cruising. As often seems the case with yachts built from the best of materials at Shoreham-by-Sea by Stow and Son, she has subsequently led a charmed life and is now looking for a suitor to complete her current restoration - to set her free to once again roam the seven seas. 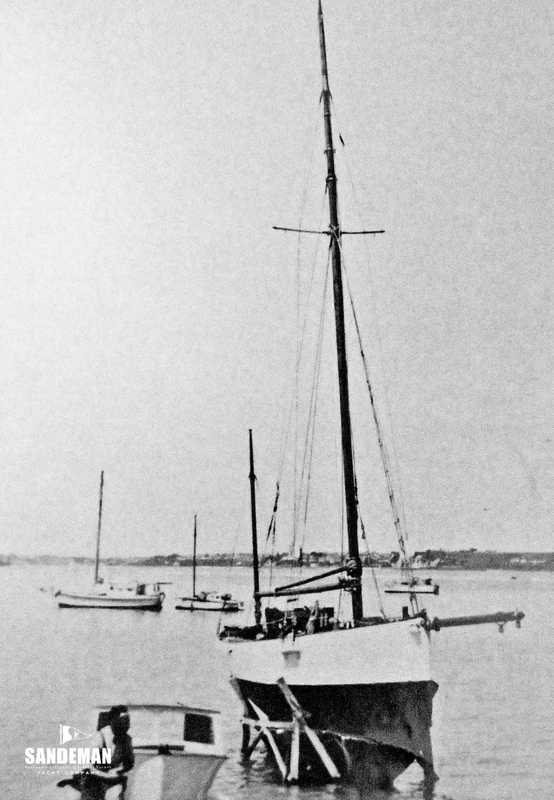 TERN II was launched as WHITE KITTEN in 1899, from the yard of Stow and Son, in Shoreham, UK. In early 1910 she was purchased by Claude Worth, who owned her for a couple of years and made several changes to her; documented in his book “Yacht Cruising.” Meanwhile all the ironwork he had made at this time is still with the vessel. After numerous owners over the next few decades, she came into the hands of Ben Pester, a New Zealand naval officer who had finished a period of service in the U.K. and was keen to return to NZ under sail. This passage, in 1951-52, was written about in his book “Just Sea and Sky”, published in 2010. TERN II changed hands again a few times, until she was found abandoned and a somewhat worse for wear in a mud berth near Thames North Island NZ, by Bill Cunningham. Going aboard with a mate unsure if she was worth saving; after downing the bottle of whisky found below it was decided she was indeed worthy - and thus began a 9 year period that she spent hauled out in his back yard in Cambridge not far away, replacing the deck with the addition of a cabin and all her spars, and a new interior. Her counter had been removed sometime before this and the rig changed to a cutter. She was re launched in April 1981. Bill parted with her in 1991 and she was owned for a time by Mick Reynolds, and then Lyn Avatar, who had planned to sail her to Hawaii but cut the journey short after a 24 day passage to Tonga from the Bay of Islands. 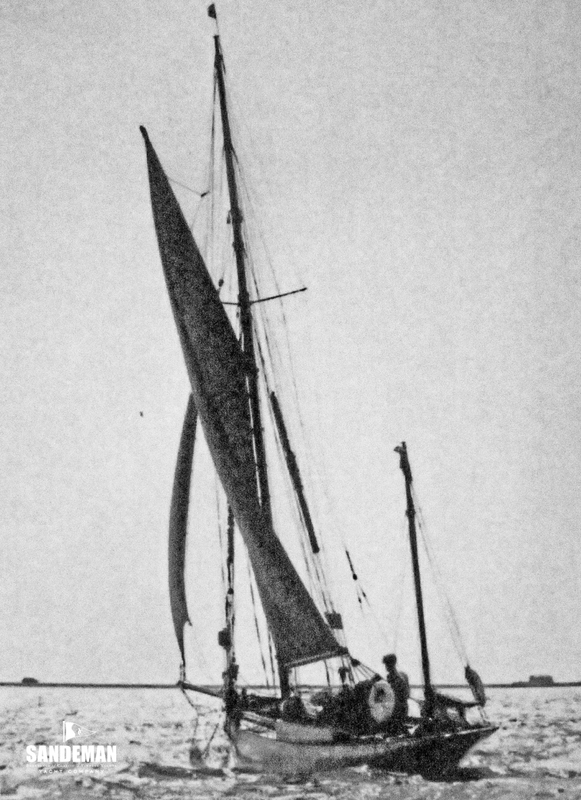 She then lay on a mooring there until the current owners came across her on their way to New Zealand. For a sum including coverage of outstanding mooring fees, a bottle of rum, and a kiss, they secured ownership and arranged shipping back to New Zealand. 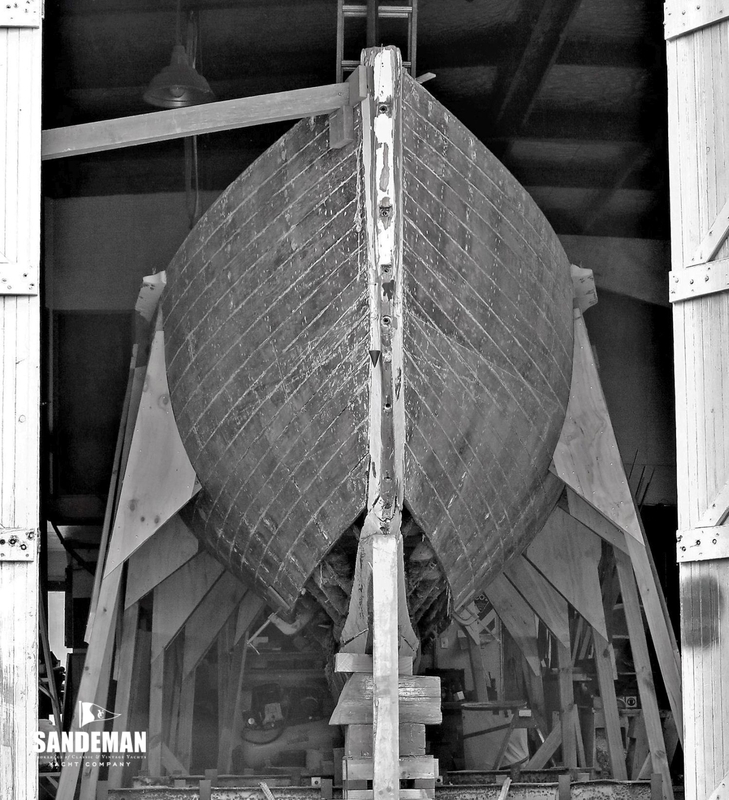 She is currently being stored undercover in a yard in Whangarei, Northland and undergoing restoration. 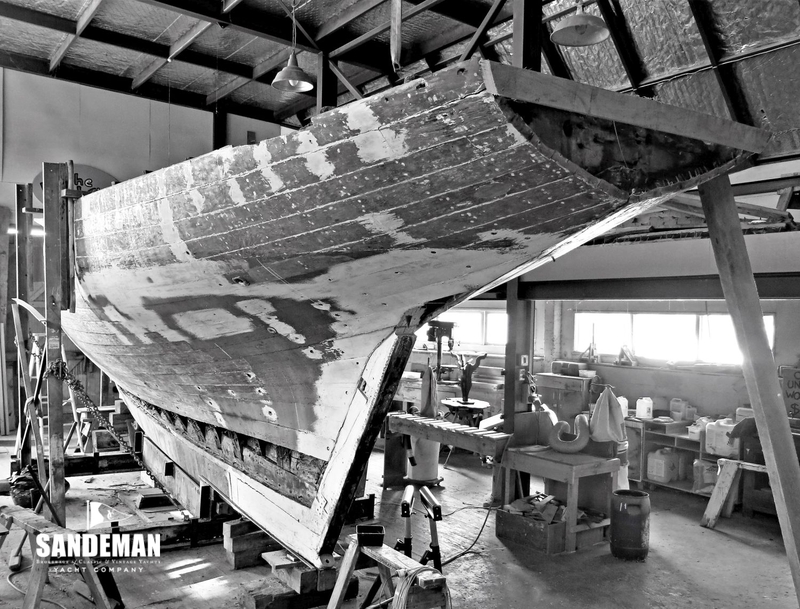 When the Stow family – headed by John Stow – arrived in the English south coast hamlet of Shoreham in the first half of the nineteenth century, they would have found a fishing village with a thriving boat building industry attached. By this time, Shoreham had built a reputation for launching fine and fast vessels of all kinds since shipbuilding had become a mainstay in the village in the mid-16th century. Indeed, carpenters and boat builders had been present in the area since around 1210, when galleys were being repaired there for King John and these trades were summoned from Shoreham to help build the King’s ships at Portsmouth. The Stows were not alone in making the move to Shoreham. 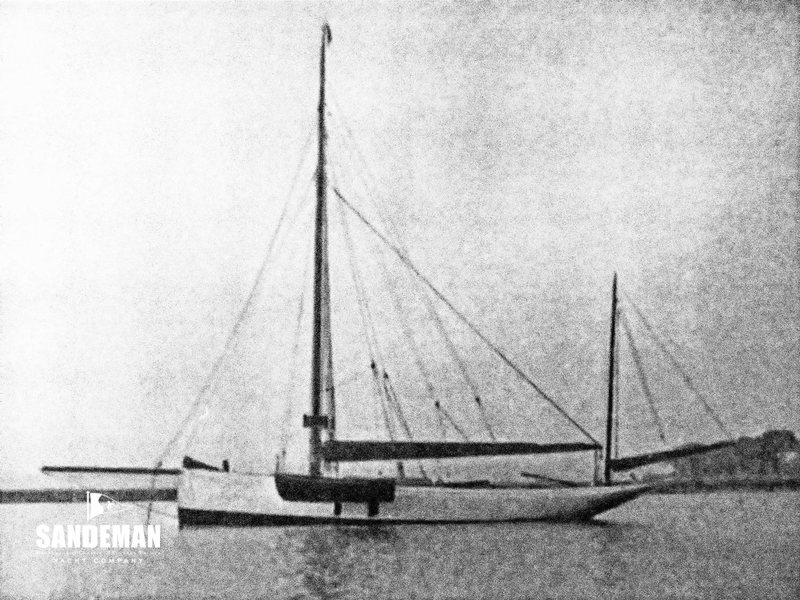 Rope and sail makers as well as the other satellite businesses required to fit-out quality vessels, were on-hand at “New Shoreham” as it then becam known – peaking around 1870. The launching of big ships dwindled after this time however as the village’s businesses could not convert when construction in iron became the norm. 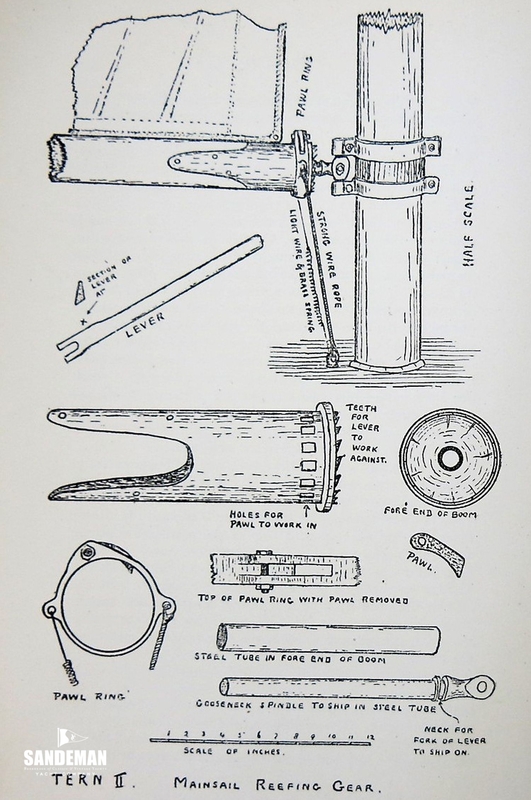 Wood, though, remained the material of choice for smaller vessels; fishing boats, dinghies and yachts, and it was with vessels such as these that the Stow family managed to build a substantial international reputation. It was in 1866 that John Stow, along with his eldest son, Thomas began the business that was to bear the family name for the next seventy years. Thomas and his spouse went on to have eight children themselves, most of whom went into the family firm and, understandably, it was the eldest, Harry, who inherited the business in his turn. 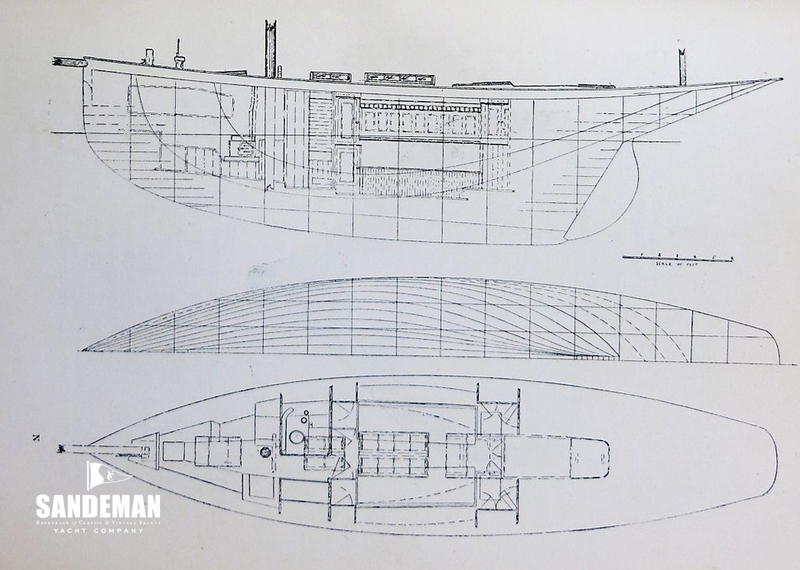 He proved to be a capable designer, going on to produce many successful yachts, though his remaining unmarried and childless himself ultimately contributed to the demise of the family business. 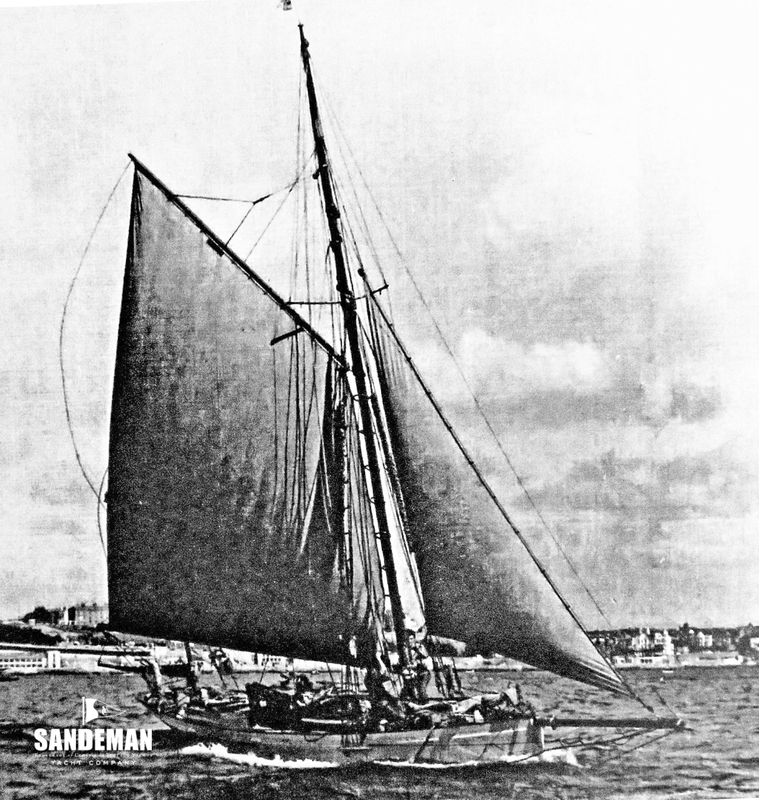 The recently restored 1895 yawl VALERIE is credited as one of the earliest of Harry’s designs. It is likely moreover that WHITE KITTEN is another. According to The Ships and Mariners of Shoreham, by local historian Henry Cheal, the Stow reputation was built on producing vessels of high quality that could be relied upon to have a roomy feel from particularly well laid out interiors. Indeed the build quality of Stow yachts is remarked upon by many sources, with both Thomas and Harry capable of producing designs that were highly regarded by their peers. 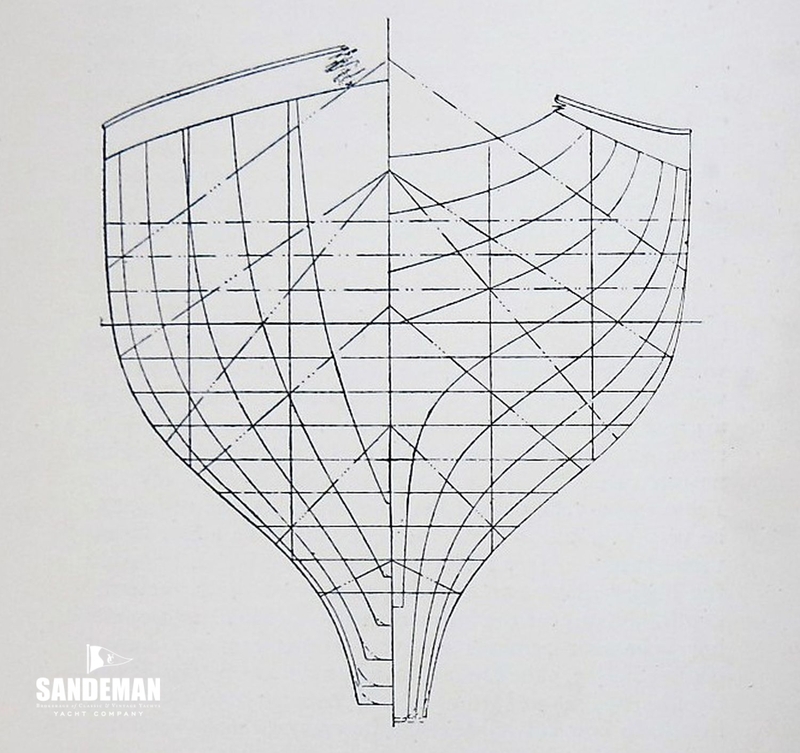 At times, the yard’s output was substantial with 23 vessels produced at the peak, between 1890 and 1899. Restoration is currently under way. 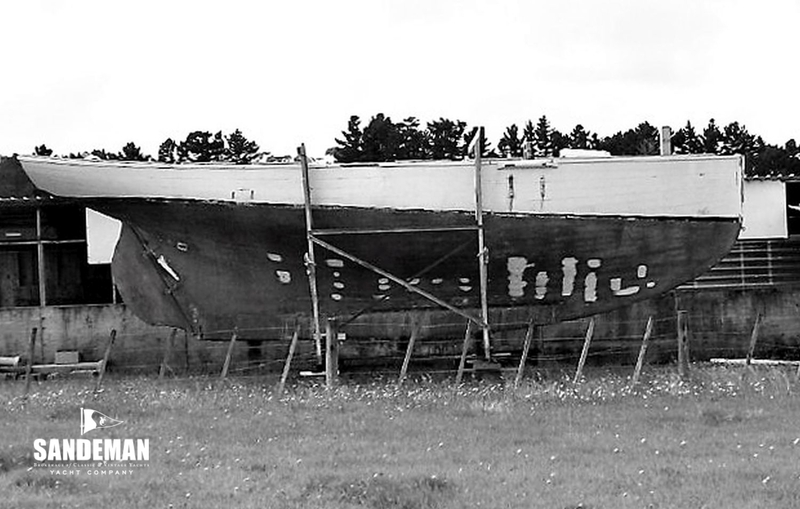 After the initial inspection and demolition work, removing the interior, deck structure, and deck; the garboard was removed to assess the full extent of the damage to the keel. 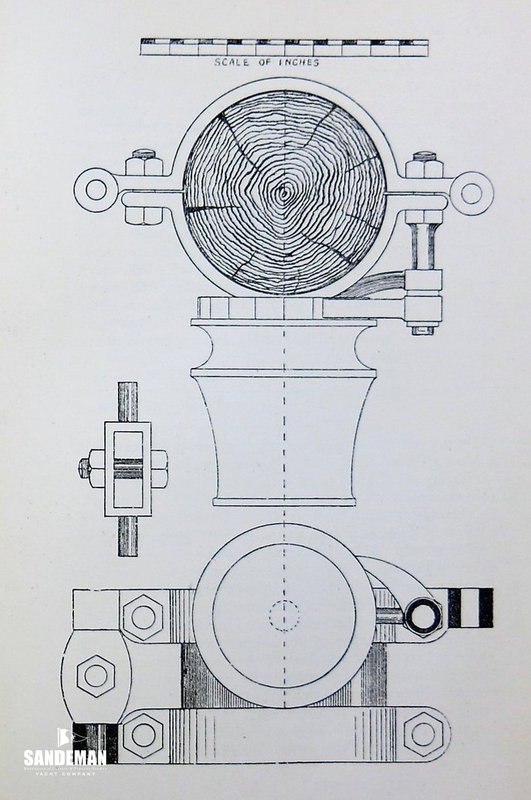 It then became clear that the original elm keel would need to be replaced, due to the damage incurred from the wrought iron floors and the iron used in the heels of the frames where they were socketed into the keel. For similar reasons it was also decided at this stage to replace the entire backbone. 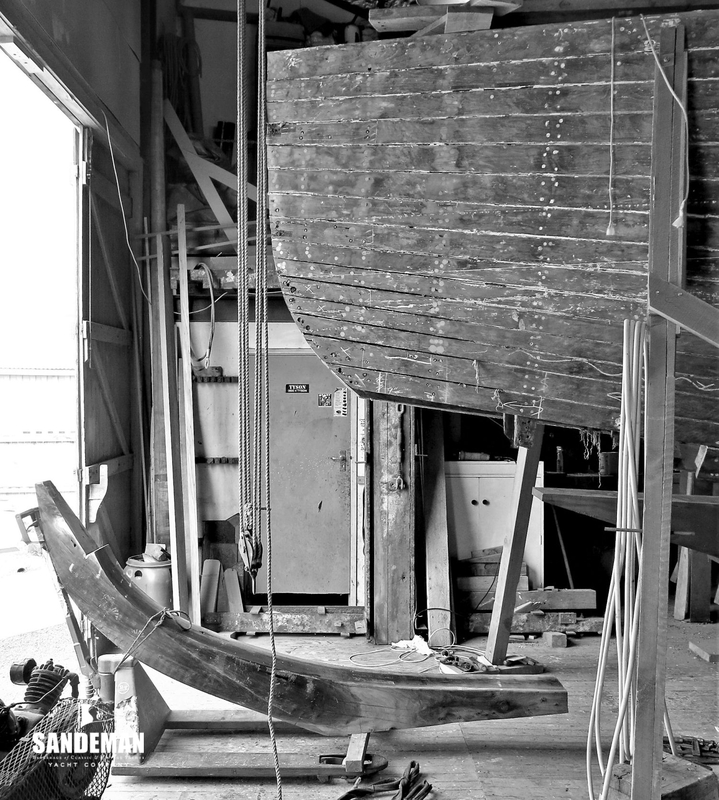 The hull was first braced with timber supports to enable the removal of the keel avoiding any change to her shape. The next plank up from the garboard was then removed to provide access (It had also having suffered some damage around the floor bolts) and the heels of all the frames cut off up to this plank line. Patterns of the floor timbers were then made and these were cut and shaped out of 3 ¼ inch sided Puriri, a local native hardwood of exceptional durability and stability. Keel bolts were drilled off right through the lead, being of 1 inch copper. 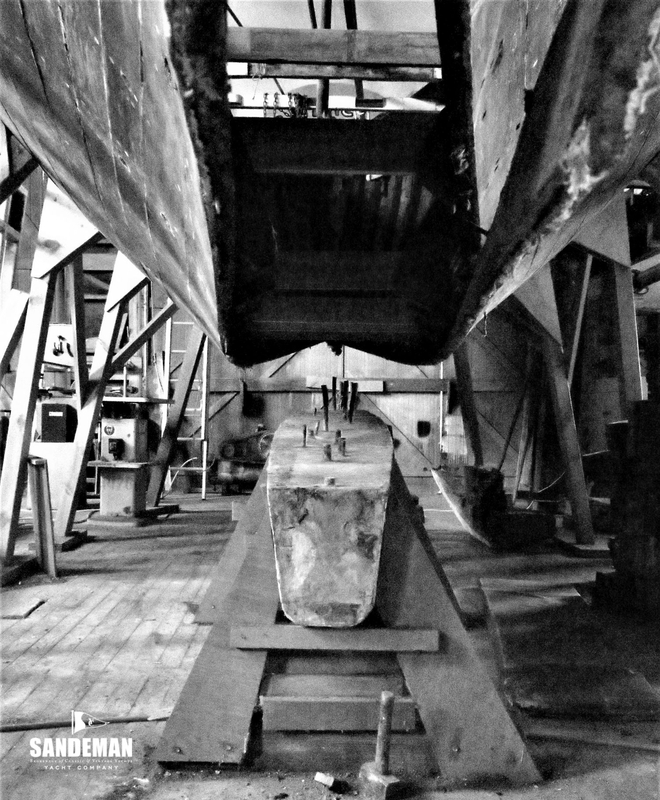 Approximately half of the required keel bolts have been fitted and fastened in this way, the original planking screwed back on to them where enabled so far. Once all floors and frames are fitted, as well as the plank fastenings they will be through-fastened with 3/8th inch copper rivets as the original. Before removal, patterns were then made for the stem, and the apron timber cut and fitted. 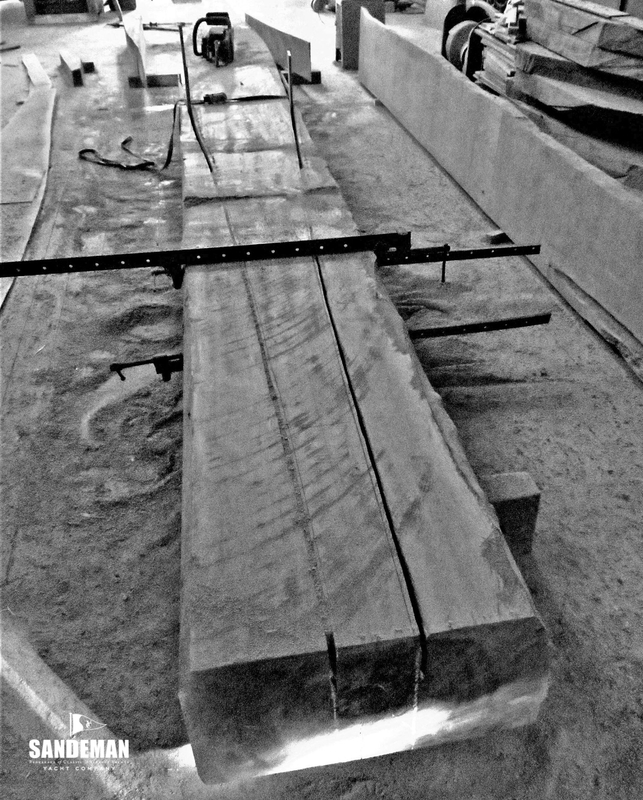 This is the stage the vessel is in at the moment with the remaining floor timbers waiting to be sourced, and the sternpost, stern knee and stem timbers in the workshop in their raw form, ready to be shaped and fitted.